When I attended the traditional mystery convention Malice Domestic this May, I had to overcome my reluctance to push my book. I’m an introvert, with a wide streak of shy. Schmoozing with strangers is my idea of torture. Many authors seem to thrive on social media and self-promotion. Not me. My career path never even veered close to sales. That alien territory is fraught with rejection. I will admit I have sold quite a few Girl Scout cookies in my day, but seriously, those Thin Mints sell themselves. Before my book came out, I did some research on book promotion. I hoped to discover a magic formula for what worked and what didn’t. There is no formula. Whether your novel is traditionally published, like mine, or indie, the correct approach to selling that book is as individual as the author. All promotion involves time, effort, and a bit of luck. Don’t wear heels if you’re a sneakers kind of person. Find what you’re comfortable with, and don’t force yourself to spend time on promotional efforts you really hate. In my case, with a demanding day job, time is very limited. 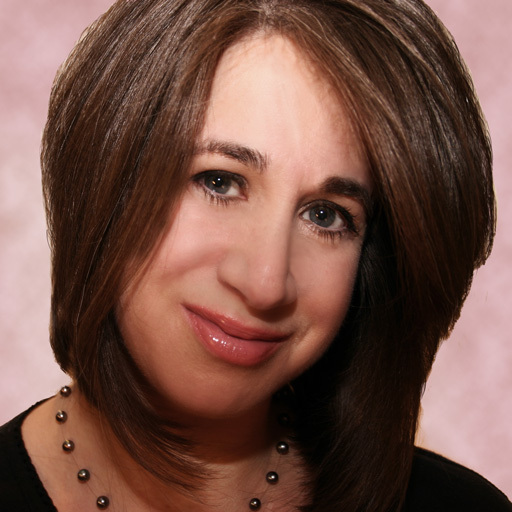 I focus my energy on my website and blog, Goodreads, and a few carefully selected in-person events. Not everyone likes Thin Mints. Don’t take rejection of your book personally. Focus on selling to your audience. At a book event, a woman glanced at the cover of my murder mystery, and declared she never read anything negative. Ouch! I smiled and nodded as I considered creative ways to do away with rude people. In a fictional manner, of course. I’ve had plenty more people tell me they love mysteries. There’s a market! Readers want you to succeed. The most important thing I learned at Malice Domestic is that readers have voracious appetites for fiction, and are excited to make new discoveries. Can you make a career off one novel? Harper Lee did it with To Kill A Mockingbird. But I’ve seen more success among authors, in any genre, who keep the good stories coming. Don’t stop writing because you’re promoting your new release. Keep working on your next story! Conferences are good places to gain exposure to potential readers. 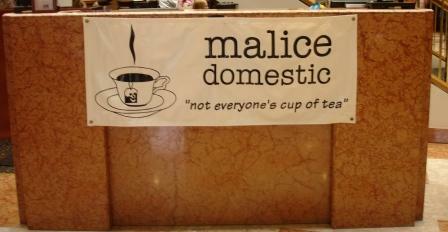 I went to Malice Domestic because the focus is on the traditional mystery, cozies, and amateur sleuth novels. The conference offered authors multiple opportunities to pitch their novels to readers of murder mysteries. The first morning, I sat in on Malice-Go-Round, an intense session where authors circulate around the room giving two-minute pitches at dozens of tables. I congratulated myself for not signing up for the frenetic event. I would have been in a straight jacket by the end. I needed clarification. She explained that this was what she came for every year. She was kidding about leaving. She would stay the entire weekend, but Malice-Go-Round was the highlight. I noticed readers scribbling notes as authors gave their two-minute pitches. People were making purchasing decisions, some for libraries. I did sign up for the New Author Breakfast. Dozens of authors gave timed pitches to the entire room. I was still a nervous wreck, but at least it was over quickly. A hint to new authors – try to sit near an exit for that last minute dash to the facilities for cases of nervous tummy. Just sayin’. The panel was where I really hit my stride. The focus was on my novel and my writing process, not me. I wasn’t alone. Three other authors participated in a panel on the topic of regional settings. The audience was lively, and seemed eager to find a new series or author. Find the promotional methods that work for you. Feed your readers’ appetites with new stories. You might have to step out of your comfort zone to reach your readers. That doesn’t mean you need to tackle all forms of social media, public speaking, or other means of publicity. Genre-specific conventions like Malice Domestic are a great way to promote your novel to a receptive audience. Patricia Batta has been a writer since the fourth grade when the teacher instructed the class to write a story. She was so thrilled with process of creating a different world on paper that she wrote another one, and another, and another…. 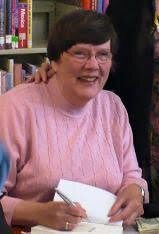 For many years Pat wrote mainly for her own pleasure and between jobs, but by the time she retired she had drafted one mystery novel and was working on a second. 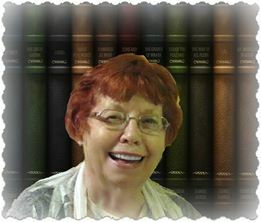 With time to dedicate to writing, she revised and completed work on the first of the Marge Christensen Mystery Series, then another, and another…. PB: I discovered the power of writing when I was ten years old. I, a shy withdrawn child, could control a world with my pencil. I waited a lifetime, though, before retiring at age fifty-seven from work that put food on the table in order to fulfill my writing dreams. PB: That depends on how you define success. Financially, I’m not successful yet. If I weren’t retired, with enough money to subsidize publishing my own books, I couldn’t keep putting them out. I am doing what I set out to do with this mystery series, however, so in that way I am successful. The satisfaction of creating a product that many people enjoy reading and want more of began as soon as I published my first mystery novel, but I probably won’t feel completely successful until I think something I’ve written has a positive effect on someone’s life. I’m still “practicing” my craft and try to improve with each book. PJ: Is the writing life what you expected when you started out? PB: I expected to write books which a publisher would buy. Then I would write another book while eventually collecting royalties. I didn’t expect to self-publish and I didn’t expect to struggle with distribution and promotion issues. On the other hand, I didn’t realize how much fun it would be (once I again conquered my shyness) to get out there and talk about my books with interested readers. Writing has also given me an excuse to travel to conferences and book festivals, keeping me active in my old age! PB: At first, I thought I wanted a traditional publishing contract. I got dizzy trying to decide whether I needed an agent first or a publisher first and how I’d ever get one without the other. Of course, my books also were not quite ready for publishing when I started sending them out. Unfortunately, publishers and agents don’t have time to tell you why they don’t want your book, just that they don’t want it. By the time I had ten rejections each from agents and publishers, I gave up on them. But not on writing. I kept working on those same books until I thought I had something worth publishing. By now I was pretty sure that what I wanted to write would never have enough zing for the current market. I didn’t know what to do with them. Finally I decided that at my age I didn’t want to wait until someone wanted to publish my work. I would publish my books myself. People who know publishing have asked me why I don’t pursue a traditional contract now. They feel my books are good enough to interest a publisher. But I’ve become accustomed to owning my work and having complete control over it. PB: Holding a completed book in my hand – especially the first one. PB: Holding that completed book in my hand and realizing I can’t change anything in it any more. PB: I never quite got over being that shy, withdrawn little girl. Once I had a book out, I knew I had to face the public. I started with “meet and greet” signings where at first I sat, waiting for someone to show interest in my books. I watched other authors and gradually learned to put myself out there and engage the passers-by. I graduated to presentations and soon grew to love doing them. This has affected every part of my life – I now lead a Bible study class at church, chair a committee, initiate conversations rather than waiting for someone else to recognize me. Sometimes I wonder where that tongue-tied girl has gone and have to shut myself up. PB: I set out to write a mystery series about an average woman closing in on middle age. Marge might live next door to the reader – she’s not drop dead gorgeous, not a PI or involved with the law in any way at first – not tougher or braver or any of those other things outside the experience of the average reader. I wanted books that would attract a main-stream audience while embracing the values of Christianity without preaching. I hope that each book explores a value or relationship that we all deal with in our own lives. Some of the very things I want for my series keep it from selling more, but it is the series I wanted to write and the people who find it and enjoy reading that type of book (as I do) are always after me for the next one. PB: Whatever route you take to publication, be sure the book you publish is the best work you can do. Don’t even think about publishing until someone has given your book a thorough editing and proof-reading. If you are self-published you may have to pay to have someone give your book a professional reading. Self-published authors who neglect this step end up with typos, grammar problems, and other errors that turn off readers not only for themselves but for all self-published authors. PB: Book promotion is a total challenge for me. My innate shyness still makes it difficult for me to approach book stores and libraries and initiate conversations about my books. It is hard to decide which on-line promotion is worth doing, then it takes huge chunks of my time to master the technology I need to do it. PB: Horizon Book Store in Traverse City (with branches in Cadillac and Petoskey) Michigan is very supportive of local authors. Seattle Mystery Bookstore in Seattle and Parkside Books in Redmond, Washington, have also been helpful. Was someone truly killed, or had Edith lost more mental capacity to her last stroke than her ability to find the word she needed? Marge, her mother, her staid and proper Aunt Valerie, and her rebellious and reckless niece Lisa form an unlikely team to try and discover the truth about what’s going on before Marge has to head back to her home in Bellevue, Washington. What Did You Do Before Dying? Why Did You Die in the Park? Who More Than Wished You Were Dead? 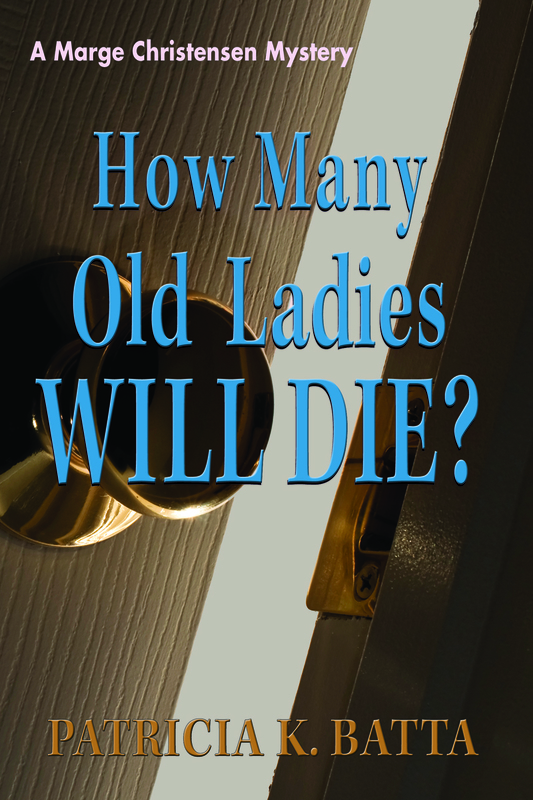 How Many Old Ladies Will Die? PJ: Where can we buy it? PB: Print versions of the books are available on my web page www.lillimarpublishing.com. They are also available in both print and Kindle from Amazon, and the first four are on Audible. The fifth will be there soon. I usually don’t know “who dun it” until I’m at least half way through the book. Even then, it sometimes changes. When I finally know for sure, I have to go back and plant clues so I don’t blindside the reader. Thank you for sharing with us Pat! Ghost hunting tourists stumble on a dead body in a house reputed to be haunted. Deputy Tempe Crabtree, first on the scene, is sensitive to spirits and finds herself bombarded with them as soon as she enters the house. Spirits don’t kill people the way this young man was murdered, though, and the detective in charge assigns Tempe to find out who the very human murderer is. 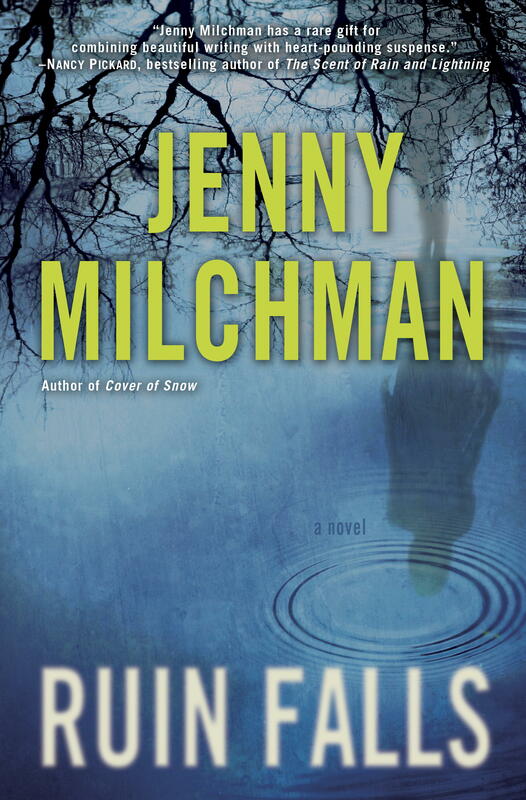 Tempe’s attention is split between solving this case and resurrecting two cold cases in order to release the spirits she has encountered so they can pass on. Her superior detective, not understanding the plight of the trapped spirits, refuses to help with the cold cases since all those involved are long dead. Tempe forges ahead on both fronts, helped by her husband, Hutch, a local pastor. Hutch reluctantly accepts that Tempe can communicate with the spirit world, but he worries and fears for her physical and spiritual safety when she does so. They both know that, along with the spirits who need closure to pass on, there are demons who threaten both the living and the dead. Once the murder victim is identified, Tempe is stonewalled by both staff and students at the high school he attended. Not only were the students he had been running around with lying to her, they were openly taunting her. And a young woman claiming to know something clammed up every time Tempe was close to finding out what it was. While trying to figure that out, Tempe is also drawn to several small graves in back of the haunted house, the vision of a young girl in a corner of the house, and stories about the murder of a woman in the house many years ago. On top of it all, rumors of satanic activity seem to be increasing. The author has an understanding of the Native American culture, the festering wounds, and the still-active discrimination. The book is matter-of-fact about these issues, acknowledging them but not allowing them to take over the story. 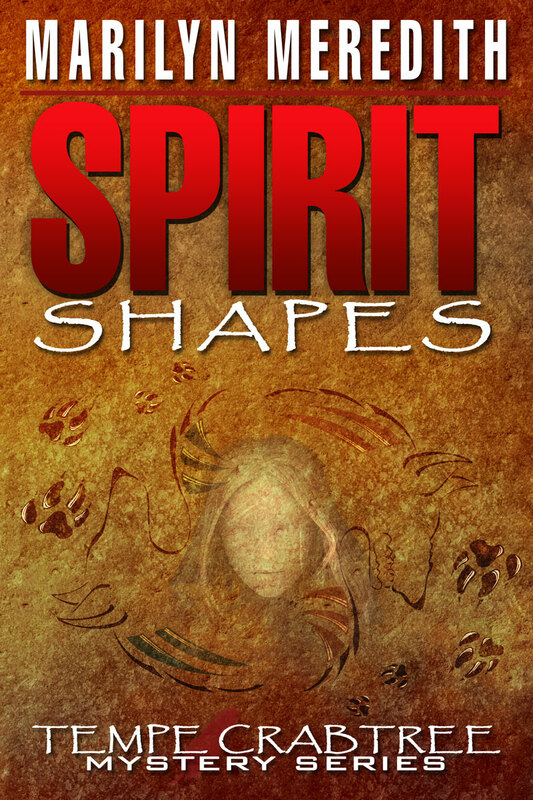 She is remarkably even-handed in dealing with the spirit world issues from both the Native American and the Christian perspectives. The ending was satisfyingly bone-chilling even for me, a person who doesn’t usually read paranormal stories. When my second novel came out in April, I set out with my family on a 4 month/20,000 mile journey. Maybe I should back up a bit. Like, all the way to our home in New Jersey. Today a writer can feel like she needs to be everywhere at once. And I do mean everywhere—the internet gives us the power to be not just in everyone’s living room, but in their purses and back pockets on tablets and cell phones. Twitter, Facebook, blogs, Pinterest…where’s a writer to go? I’d like to shine a light on a place that’s getting a little less emphasis these days. Perhaps because it’s only one place, or at least one place at a time. I’m talking about real time, live, physical sights (not websites) where writers connect with readers face-to-face. Last year my first novel came out after a thirteen year struggle to publication. Since the only thing harder than breaking in as a debut is building a long-lasting career as a writer, both my husband and I knew that we would have to give this thing our all. So we did the only logical thing. We rented out our house, traded in two cars for an SUV that could handle Denver in February, and withdrew our kids from first and third grades. OK, maybe it wasn’t so logical. But once we’d done all of that, we then hit the road, car-schooling the kids, husband working from the front seat, while I visited nearly 500 bookstores, libraries, schools, and book clubs. All told, we covered seven months and 35,000 miles. The question I get asked most often is whether it was worth it. It’s a difficult question to answer because it comes down to what worth it means in terms of launching a writing career. Did we sell a lot of books at every stop? No, definitely not. But we knew from the outset that this was going to be less about selling books, and more about building relationships. 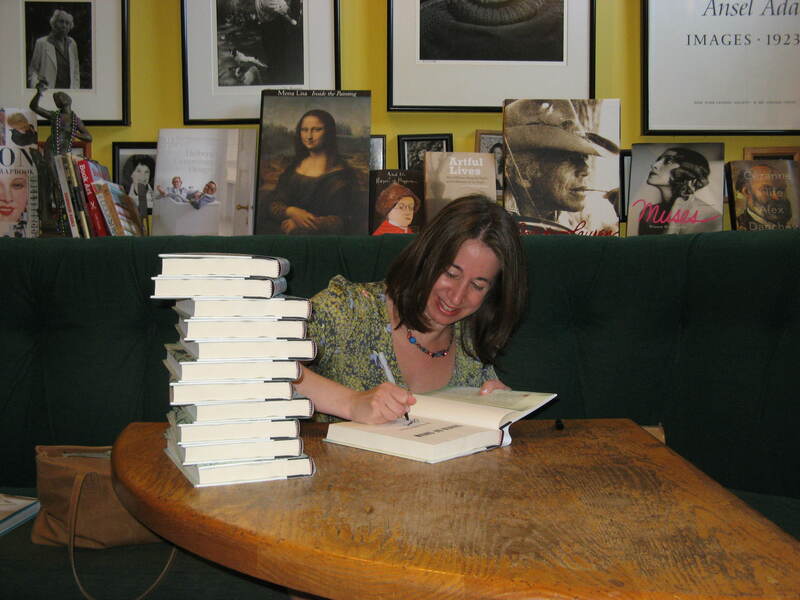 Booksellers receive hundreds or thousands of Advance Reading Copies. They can’t possibly read them all. By going to the bookstore, I added to the work my publisher’s reps were doing of putting a book by an unknown author on the radar. 60-70% of the reading public browse in bookstores. That’s a lot of potential fans. And no matter how an event went, I would hear from booksellers weeks and even months later about a copy they had just hand sold to a person they knew would enjoy it. The other question I hear is, “But what if I don’t have 7 months? Or 7 weeks for that matter?” My answer to that is: Don’t worry. The power of the face-to-face can be mined in 7 days. Or in a weekend. What I love about doing events is that it’s additive, and you can start with one. Plan an event at your local bookstore, which won’t even require missing a day of work. Take a weekend road trip, making it a working vacation. Draw a radius around your hometown, and identify bookstores within it. If setting up the events seems difficult, consider working with an independent publicity firm. In this way I was able to get booked at some places that had established attendee lists, allowing me that rare author experience of walking into a crowded room. You can also move beyond bookstores when planning events. Libraries, book clubs, and schools are all fairly ready options. But you can get more creative than that. Perhaps you write historical novels? Research genealogical societies that might like to host you. Or maybe you write cozies? Craft shops, cooking classes, and rescue clinics are all possible places to encounter potential readers. A little advance preparation can shine a light on both your work and a local business or charitable organization. There is a power to meeting your readers face-to-face. I found that as much as I enjoy communing with people virtually, another sort of connection grows when that relationship is lifted to real time. I met people on the road whom I now consider friends. I can’t wait to meet them next time. That’s right, I did say next time. Because with my second novel about to come out, we are set to hit the road all over again. And I hope to see you somewhere along the way! My area of writing interest, based on my career in the Foreign Service of the Department of State, was diplomacy. It occurred to me that a diplomat would be in an ideal position to solve international crimes. Working in an American Embassy, he would know visiting American citizens, for example. Should one be murdered, my protagonist would have access to information that might help solve the murder. And so, my main character would be an American diplomat, starting on his career. As the series developed, he would progress through a diplomatic career, from assignment to assignment. And that is how Robbie Cutler emerged, early in his diplomatic career, in “Vintage Murder.” By the way his name, John Robinson “Robbie” Cutler, was a very personal choice, for Robinson is a family name on my side, while Cutler was my mother in law’s maiden name. The best advice I received when I began novel writing, was to get to know my main character. Write down a few pages with his or her characteristics, I was told. The main personality points, I soon found, would suggest other areas where the main character was a more flawed human being, or simply, not as successful as in other areas. Why is this important? It struck me that other characters, particularly family members, would be aware of the protagonist’s personality. They might be strong in areas where he was not, for example. And so it emerged. Robbie is very intelligent, and at home in foreign cultures. He is not, however, very people smart. And so his girl friend Sylvie Marceau supplies that characteristic, as does his sister Evalyn. Fortunately, the two women get along, to the point where Evalyn once tells Robbie off when he starts seeing women other than Sylvie! We now have a protagonist, his girl friend (who becomes his fiancée in the second book, “Murder On The Danube,” and bride in the third book, “Murder In Dordogne”), and the potential for a growing record of crimes solved. We also had a small but growing number of other diplomats, both American and foreign, who are Robbie’s Embassy colleagues, and whose path Robbie will cross in future assignments. So far, so good. But as a career diplomat, I knew that Robbie needed access to information that would be denied to a midlevel career diplomat. In fact, I wanted him o have access, directly or indirectly, to the highest levels of American political and diplomatic intelligence. This access would supply missing areas of motivation and background that would be essential to his crime solving. Enter Great Uncle Seth B. Cutler, a former OSS agent during the Second World War, and a nationally prominent educator, with connections from his former colleagues and his students to the highest levels of American intelligence. He has, however, a sad history, for his fiancée, an SOE operative, parachuted into Occupied France and disappeared. Solving her murder in “Murder In Dordogne” makes every character in the family more three dimensional. And in later novels, “The Saladin Affair Murders” and “The Great Game Murders,” insights provided by Uncle Seth are essential to warding off attacks by Al Qaeda as Robbie becomes a trusted staff officer for the Secretary of State. Reader reactions to these created characters have been interesting. Many readers have written that Great Uncle Seth Cutler is their favorite character. People tend to like Robbie more because he has areas of weakness. Many empathize with his wife Sylvie, or his sister Evalyn. A new character, a diplomatic colleague and Native American assigned to the American Embassy in London named Joshua Running Deer, has now appeared, and already has fiercely loyal readers who have urged me to make sure that he reappears – as he will, in the sixth novel, to be set at the American Embassy in Nicosia, Cyprus. It is like an interesting family of characters, and as they evolve, more writing possibilities occur to me. The more I get to know them, the more interesting they become. I don’t think that attachment would be present in the same degree if this were not a series of books. Begin with “Vintage Murder,” and follow the characters. They grow on the reader, and have more facets to offer from book to book. I hope the same will be true for your books, as your readership grows. Now residents of Maryland’s Eastern Shore, the Shepards enjoy visits from their daughters and granddaughters, fine and moderate weather, ocean swims at Assateague, Chesapeake Bay crabs, and the company of Rajah and Rani, their two rescued cats. Prize winning mystery writer William S. Shepard is the creator of a new genre, the diplomatic mystery, whose plots are set in American Embassies overseas. That mirrors Shepard’s own career in the Foreign Service of the United States, during which he served in Singapore, Saigon, Budapest, Athens and Bordeaux, in addition to five Washington tours of duty. His diplomatic mystery books explore this rich, insider background into the world of high stakes diplomacy and government. His main character is a young career diplomat, Robbie Cutler. The first four books in the series are available as Ebooks. 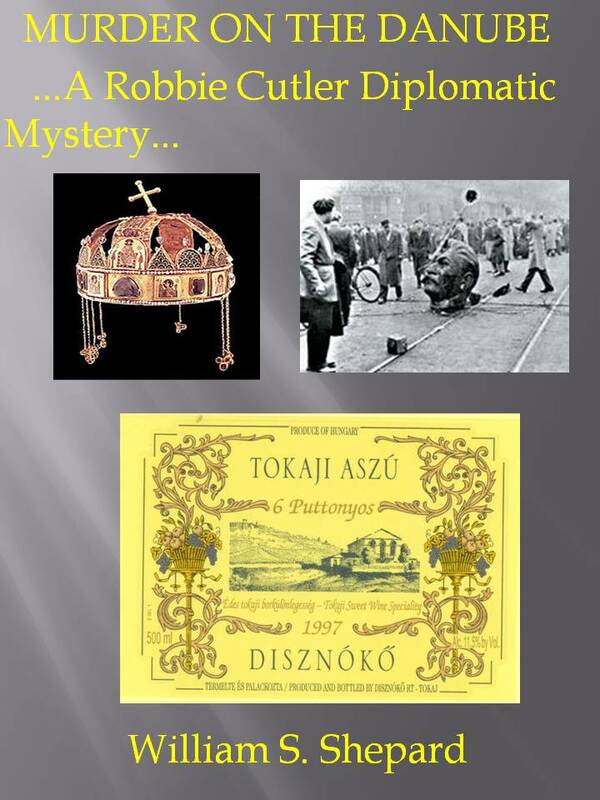 Shepard evokes his last Foreign Service post, Consul General in Bordeaux, in Vintage Murder, the first of the series of five “diplomatic mysteries.” The second, Murder On The Danube, mines his knowledge of Hungary and the 1956 Revolution. In Murder In Dordogne Robbie Cutler and his bride Sylvie are just married, but their honeymoon in the scenic southwest of France is interrupted by murders. The Saladin Affair, next in the series, has Robbie Cutler transferred to work for the Secretary of State. Like the author once did, Cutler arranges trips on Air Force Two – now enlivened by serial Al Qaeda attempts to assassinate the Secretary of State, as they travel to Dublin, London, Paris, Vienna, Riga and Moscow! And who killed the American Ambassador in Dublin? 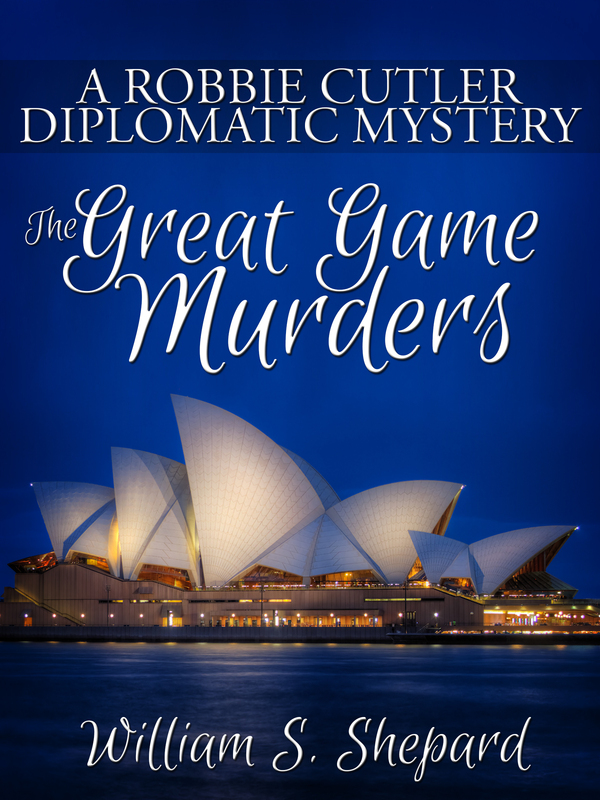 The Great Game Murders is the most recent of the series. There is another trip by the Secretary of State, this time to Southeast Asia, India, China and Afghanistan. The duel between Al Qaeda and the United States continues, this time with Al Qaeda seeking to expand its reach with the help of a regional great power nation. And Robbie Cutler’s temporary duty (TDY) assignment to Kandahar Province, Afghanistan, carries its own perils. Fortunately, Uncle Seth helps unravel his perilous Taliban captivity in time! Patricia: Honestly, I don’t remember a time I wasn’t writing. I was the little kid sitting at the kitchen table scribbling stories on sheets of lined paper that I’d staple together into “books.” I wrote letters to distant relatives and plays for my Girl Scout troop, won an essay contest on the Statue of Liberty in sixth, at 11 and 12 submitted script ideas to TV producers, wrote for my high school and college newspapers. So, pretty much forever. Patricia: I’m easy to please. First time I saw my byline, I felt like I’d hit the big time. Patricia: I had a fantasy of being a foreign correspondent, hop scotching the globe and writing about war and exotic places. That never happened, but as a nonfiction writer I learned that interesting stories exist everywhere and that the most ordinary people often face extraordinary challenges. When I turned to fiction, I realized that the raw material for complex and interesting stories lies within, drawn from experience and imagination. Patricia: Some authors, like some athletes, are extremely wealthy. Then there are the rest of us who play for the love of the game. Patricia: My focus hasn’t changed at all, other than a temporary hiatus to help promote my debut novel. My main objective is still to get published — again. Patricia: From the time I submitted the manuscript to the University of Wisconsin Press, about 18 months. But before that, I spent a couple of years querying agents who had nice things to say but never quite enough of them. And before that, I worked on and off for several years writing and revising drafts of the book. Patricia: I would have started writing fiction earlier and not taken rejection as much to heart. Rejection is not the same as criticism; honest critiques are invaluable and can make one a better writer. Rejection bleeds the soul and sows doubt. Patricia: I set goals, prioritize and make lists. Submitting and promoting can consume enormous chunks of time, so I make sure to carve out space for writing — preferably every day but during periods when that’s not possible, I set aside specific days and times to write or revise. Patricia: Shortly after the University of Wisconsin Press catalog previewing my book, the events coordinator from a library called the publicity department asking for my contact information because she wanted to schedule an event. It was so reassuring to realize people were interested in my work. Patricia: At one point, I worked with an agent who promised an auction for an early novella and came up with zilch. I was crushed. Patricia: I “opened” for Scott Turow at the recent World Book Night event at The Book Cellar in Chicago. PJ: Wow, I bet that was exciting! With more books being released each month now than ever before, what do you believe sets your work apart from the others? 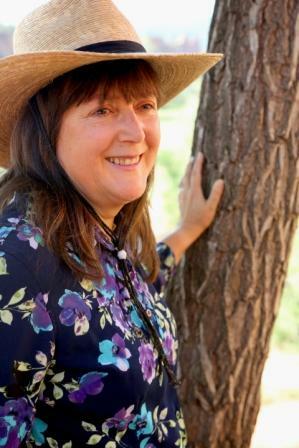 Patricia: My work focuses on ordinary people faced with unusual circumstances; as such, I believe my fiction is a reflection of real life and presents the kinds of stories to which readers can relate. Patricia: Don’t give up, but at the same time never stop working to improve your craft. If you kneel at the altar of your own words, you will never get better. Learn to edit and revise, and then to do it again. And, remember, that while you work as an individual, you are still part of a larger community. It’s important to network and reach out to other writers. You will learn from others and benefit from their support. Patricia: The personal touch is always good but it’s hard if not impossible to do all the promotional work yourself; build a team: hire a publicist if you can, work closely with the publisher’s PR department, use all the contacts you can muster. Patricia: Cold calling by phone to introduce myself and the book. Patricia: Living in Chicago, it’s impossible to name just one! My list would include Women and Children First, Centuries & Sleuths, The Book Cellar and The Book Stall, but even that isn’t complete. 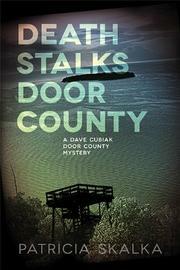 Death Stalks Door County is my debut novel, introducing The Dave Cubiak Door County Mysteries. 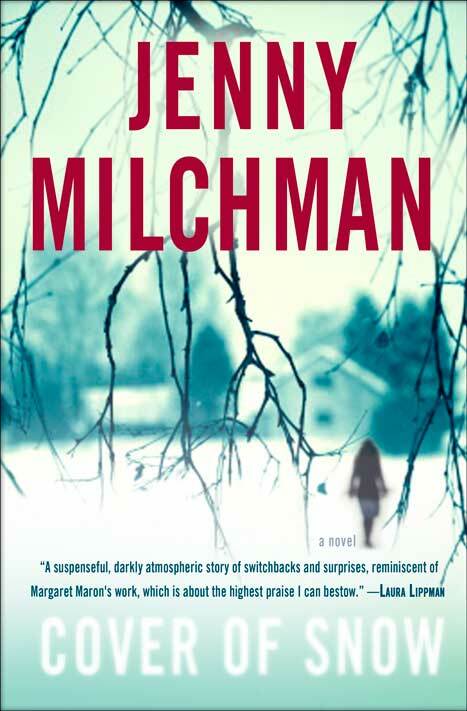 Death Stalks Door County pits a clever killer against a former Chicago cop in a story of greed, revenge and lost love set in America’s heartland. 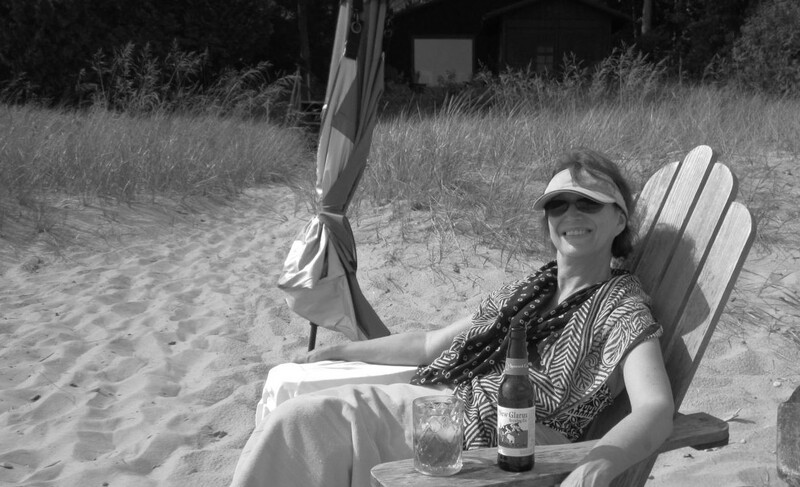 Death Stalks Door County has national distribution; you can find it on the shelf of or order from a local bookseller or the University of Wisconsin Press as well as Barnes and Noble and Amazon. Patricia: I drove the tractor during hay baling season on my grandmother’s farm — something most people would never guess about someone growing up in the city. 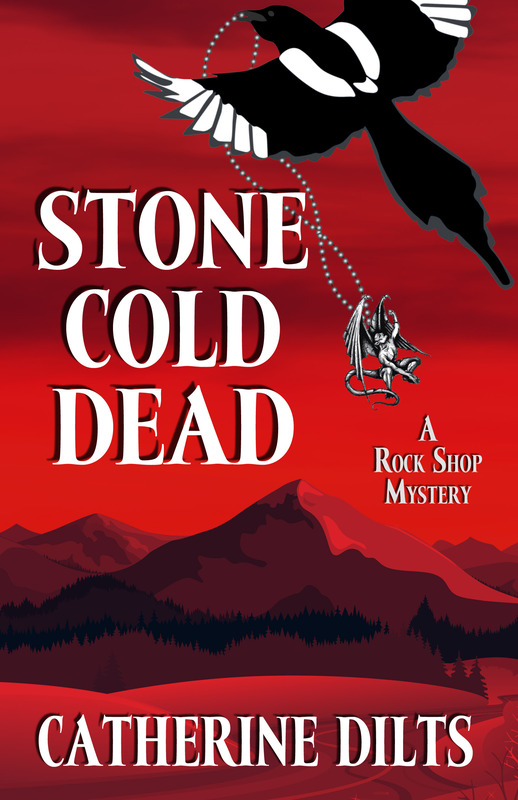 I originally intended Death Stalks Door County as a stand alone mystery but became so attached to my protagonist, I felt compelled to continue telling his story. 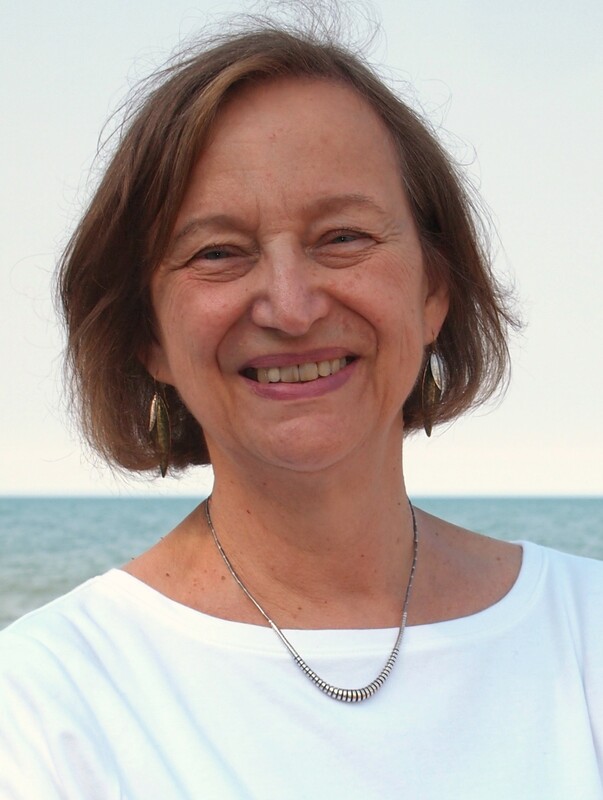 A lifelong Chicagoan, Patricia Skalka is a former Reader’s Digest Staff Writer and award-winning freelancer, as well as one-time magazine editor, ghost writer and writing instructor. Her nonfiction book credits include Nurses On Our Own, the true-story of two pioneering, local nurse practitioners. Do I Really Need a Website if I have a Facebook Page? There are lots of opinions on this topic, but if I had to pick just one of the two, I’d still pick a website – with qualifications. First, look at what they are. A Facebook page is a social media networking platform. It consists largely of a place to share news, announcements, photos, gossip, you name it – it’s out there. It can be as casual or as professional as you like. I strongly recommend that if you have a Facebook page, you create one for personal use and an author page for professional use and you try not to mingle the two together too much. Maybe that seems like overkill today, but the more people who read your books and follow your pages, the more important it becomes to keep your private information private. As much as we don’t like to think about it, there are people out there who are a little unbalanced and you don’t want to be sharing pictures of your grandkids with them. A website, on the other hand, is a more “fixed” platform. I work with journalists every day and while they do look at your Facebook page, they also go straight for your website to see if you’ve posted press information there. As you probably know, journalists often work around the clock and on deadline. If they’re working on a story and can’t find the info they need, they’ll find it elsewhere. Your website is the first impression you’ll make on a lot of people. The good news is, there are no rewrites in real life, but you can work and rework the content on your website until it really shines. In both instances, I come across pages that look professional and even more that don’t. As with any area of business, find out what you’re good at and staff your weakness. Your brand and your professional appearance are NOT the place to cut corners and save money. With all the freebies available today, it’s tempting and I know few writers are independently wealthy, but if every time someone checks you out online they find information that looks more DIY (do it yourself) than professional, that’s exactly how they’ll think of you. We all want to know and do business with people who are on the road to success. Maybe you’re not there yet, but you need to look like you’re the person you want to be. An author who shows up in shorts and flip flops may be a fun person and a great writer, but the impression is probably someone who isn’t that serious about his or her professional appearance. Take some time and do a search for author websites. Don’t just look at one, look at several and keep an objective eye. It’s best to look at authors you don’t know personally and visit a few pages on their sites. Do you find any typos? Do you find information there that would be helpful if a journalist was writing up a quick article to announce an upcoming event? What could be done to improve the site? Once you’ve visited a few, go back and look at your own site. Do you think it gives the impression of you and your work that you want it to? If you use Facebook and/or Twitter, visit some author pages there and see what kind of impression they make. Do they post things that would be of interest to their readers? Do they include a variety of photos and links that are in good taste? Usually the best gauge of what any of your pages should be is what interests you, and what works for others. We all have different tastes and opinions, but if you’re drawn to particular posts and pages, chances are similar posts and pages will work for you. Don’t hesitate to ask trusted friends for their thoughts, but also get input from others within the writing industry. Most of my family have no idea what works on webpages and FB for writers, but other writers should have some good ideas. Good luck with your project!